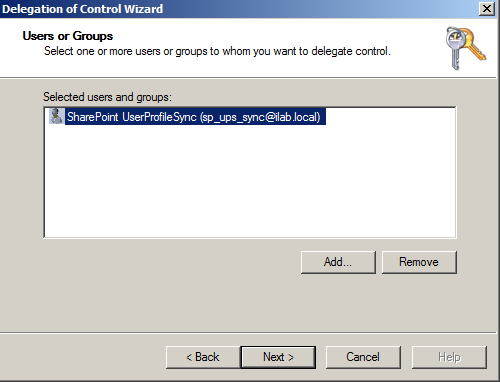 If you configure SharePoint Server with User Profile Service application. You have to grant Replicate Directory Access permission to the account that is used in Synchronization connection. You can follow below steps to grant the permission. First on the domain controller, click Start, click Administrative Tools, and then click Active Directory Users and Computers. On the first page of the Delegation of Control Wizard, click Next. In the Users or Groups page, click Add. Type the name of the synchronization account, and then click OK. Click Next. 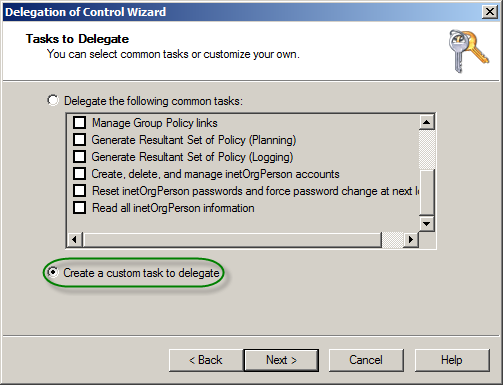 In the Tasks to Delegate page, select Create a custom task to delegate, and then click Next. 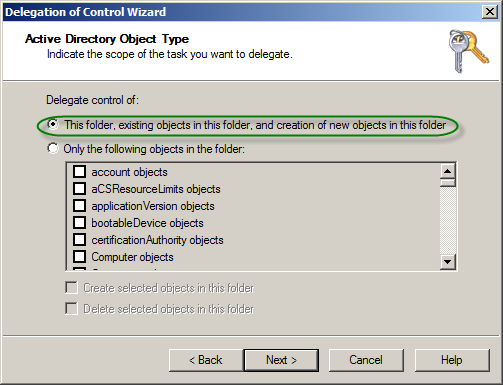 On the Permissions page, in the Permissions box, select Replicate Directory Changes, and then click Next. In the Properties dialog box, select the Members tab, and then click Add. 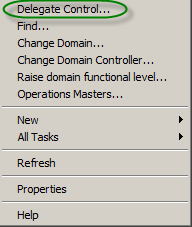 In ADSI Edit, if the Configuration node is not already present, select ADSI Edit, on the Action menu click Connect to, in the Connection Point area of the Connection Settings dialog box select Select a well known Naming Context, select Configuration from the drop-down list, and then click OK. 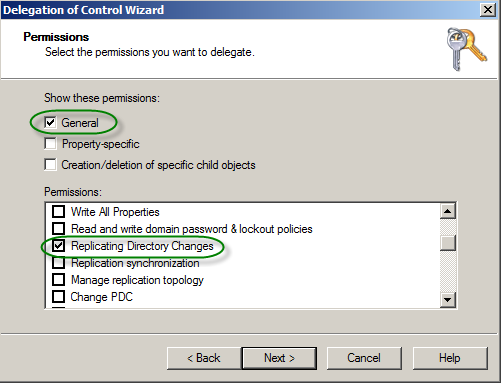 In the Permissions section, select Replicating Directory Changes (select Replicate Directory Changes on Windows Server 2003), and then click OK.